Sometimes homeowners facing foreclosure decide that they cannot afford to stay in the home and that it just does not make sense because the house value is much less than the amount they owe on mortgages. While bankruptcy may seem like a logical choice, a foreclosure defense lawyer can help you find another way. Possible solutions in place of bankruptcy for the homeowner facing foreclosure are a short sale or a deed in lieu of foreclosure. A short sale or deed in lieu of foreclosure may allow you to sell your home or give back the deed to the bank or mortgage company in order to avoid a deficiency judgment. A deficiency judgment is the difference between what money the bank recovers after a foreclosure and the amount owed on the mortgage. These potential options may avoid you having to file bankruptcy, but only make sense if you do not have much other debt and the bank is willing to release you fully on the mortgage debt. If you have an offer from a prospective buyer for less than the amount owed on the mortgage, you can approach the bank and request that it take less than what is owed. In other words, you obtain permission from the lender to sell your house for less that what is owed on the loan. You should always consult with an attorney and ensure the documents that you sign with the bank when you go through the short sale release you fully from any further liability. Short sales can be difficult because you have to first have an offer from a buyer before you can find out whether or not the lender will take less that what is owed. In addition, if you have more than just one mortgage, you also have to get the second or third mortgage to accept less. This is extremely difficult since a second or third mortgage holder most likely will not gain anything from the short sale. 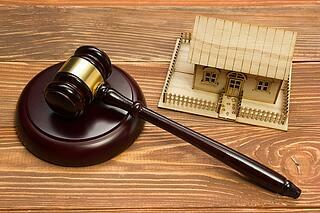 >>Get In Touch with Our Foreclosure Defense Lawyers Today! You also have to be concerned about the tax consequences of a short sale. Keep in mind that you may be taxed on the difference between what money you borrowed and what the bank accepted on the short sale. For example, if you owe $100,000 on the mortgage loan and the bank accepts $50,000 in full satisfaction of the debt on the short sale, then you will owe $50,000 in taxable income. If it is your principal residence, you may qualify under Mortgage Forgiveness Debt Relief Act of 2007, which allows for an exemption from being taxed on the debt forgiveness. There is also an insolvency exception under the Tax Code if you were insolvent at the time the debt was forgiven. Insolvency occurs when the entirety of your debts are greater than the fair market value of your assets. Stated simply, you must prove to the IRS that you are worth less than what you owe. There are many legal issues to consider so you should consult with a qualified foreclosure defense lawyer. You can offer the bank the deed in exchange for the bank agreeing not to pursue you on a foreclosure or a deficiency on the loan. Stated otherwise, you sign over the deed and the bank forgives the mortgage debt. As with a short sale, this strategy is very difficult if there are multiple mortgages, i.e., a second and third mortgage. You will need the second or third mortgage holder to also release their debt, and most times they will not because they receive no benefit. Furthermore, there may also be tax liability on the amount of the debt that is forgiven. You may qualify for an exception under the Tax Code for the taxable debt forgiven as discussed above under the section on short sales. The primary benefits of a deed in lieu are that it looks better on your credit than a bankruptcy or foreclosure, and you may be released in full for further liability on the loan. Make sure to consult with an attorney to make sure you are fully released from any further obligation to the bank. Bankruptcy will eliminate any potential tax liability if you file the bankruptcy before the deed transfers on a short sale or giving the deed in lieu. If you have other debt other than the mortgage and there seems no way of digging out of the financial problems, bankruptcy many times is the best option. You should consult with a bankruptcy attorney to discuss these issues. Furthermore, if you are going to file bankruptcy anyway it does not make sense to do the deed in lieu or the short sale because you will be wiping out the debt in the bankruptcy anyway. A foreclosure defense lawyer in our New Jersey office can discuss how to best proceed. Our law firm offers a FREE initial consultation.